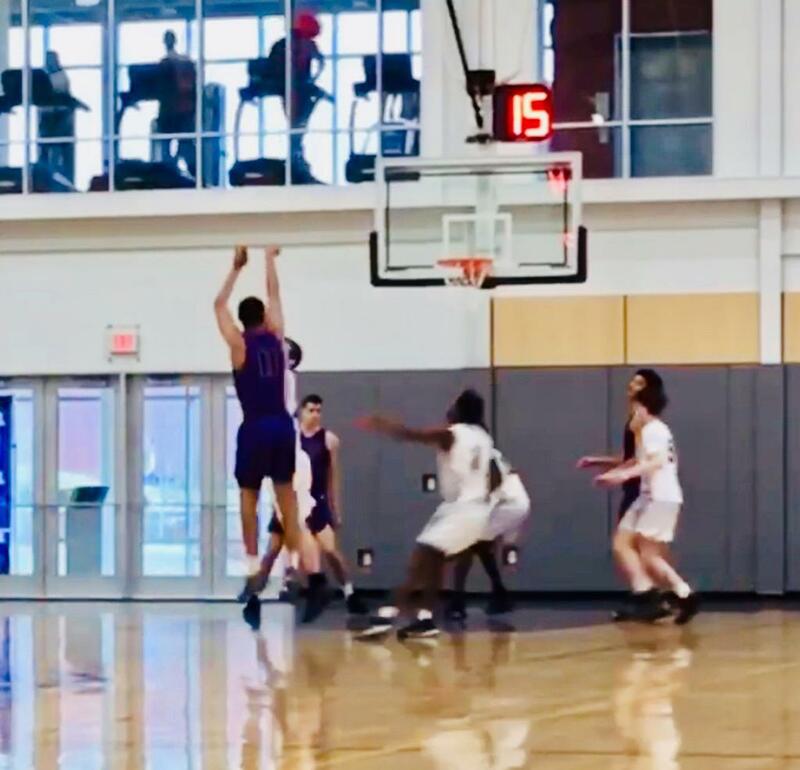 Tate burst onto the scene and was a well-known prospect at an early age, following in the footsteps of his older brother, Dana Tate, who just completed his freshman season at the University of Rhode Island. 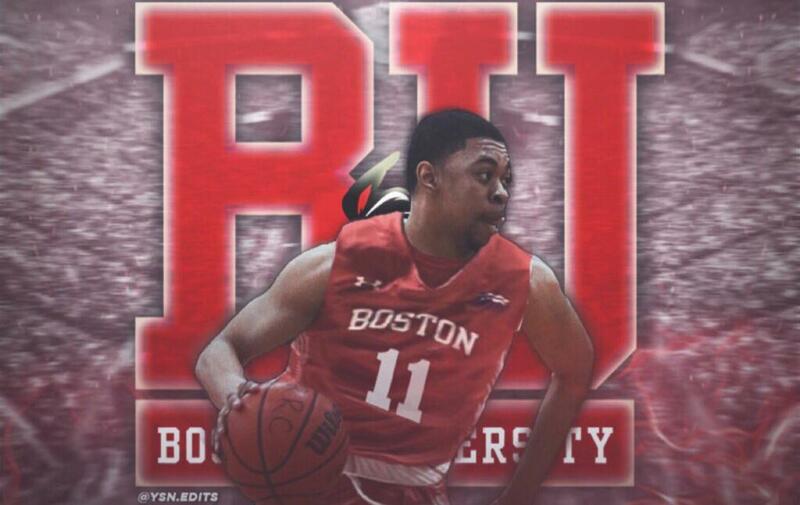 Due to the high standards set by Dana, the bad timing of an injury prior to the spring of his junior year and his place on an Expressions roster alongside some of the most talented wings in the Northeast, Daman Tate became one of the most under-recruited prospects in New England heading into his final prep campaign. All it did was feed his fire and create a monster that terrorized NEPSAC AA opponents all season long. Despite strong production on a consistent basis against the best prep competition in the nation, the 6’5” wing’s recruitment never quite caught the type of momentum it deserved this winter. His performances certainly didn’t go overlooked Cushing head coach James Cormier, who was quick to get on the horn and rave about his senior leader’s skill development to me early-&-often throughout the ‘18-‘19 season. Tate certainly didn’t disappoint whenever I was able to catch him in person either. Tate had a similar impact on the New England Prep hoops scene and the way opposing coaches reacted to him during postgame encounters always provided a snapshot of that, which is a credit to the young man and the Tate Family as a whole. HC Joe Jones just completed his 8th season at the helm and has relied upon New England products as much as anyone during his tenure. The Terriors roster featured seven New England prep products last season and is currently on pace to feature just as many in ‘19-‘20. BU has hovered between 15-19 wins over the last four seasons but should own one of the most talented and experienced rosters in the Patriot League next season. ”I’m just going to keep improving my skillset and use those skills to add a different element to a BU team that should already be really good next season,” said Tate. With their top 11 scorers from ‘18-‘19 set to return, along with 6’5” wing Walter Whyte, who was an All-Freshman Team selection in ‘17-‘18 before redshirting in ‘18-‘19 due to injury, the Terriors could be in a position to make a run in ‘19-‘20. THE FIT: As long as Tate continues to develop at the same rate under the BU staff, he has the ability to become a pivotal piece in the Terriors resurgence in ‘19-‘20 and a part of some extremely successful teams over the next few seasons. As a proud Roxbury native, Tate will also be able to play his college ball in front of friends and family. Tate will be able to make an impact and help to build a winning culture at BU, while doing it front of a community that will use him as an example for the next generation of ball players. It’s hard to argue with his decision when all of that is taken into consideration. 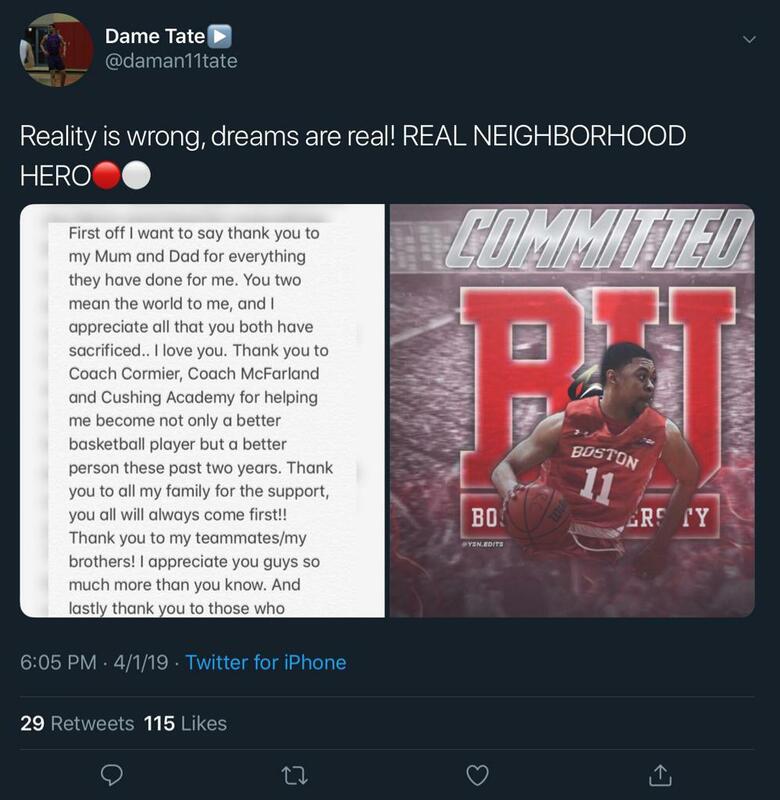 The other thing that can’t be argued: Daman Tate’s future, both on the court as a play-maker and off the court as a pillar in his community, is as bright as any young prospect in New England’s 2019 Class. And I’m as excited as anyone to watch that future play out.